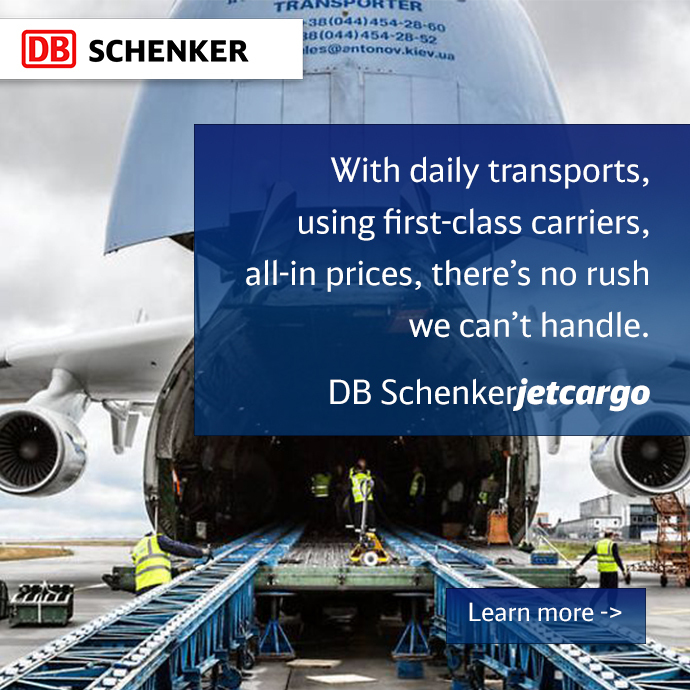 DB Schenker and Cisco collaborate to explore the role that the Internet of Things (IoT) and advanced technologies can play in streamlining logistics and supply chain. With e-commerce, omni-channel distribution, and changing customer demands all pushing companies to streamline their supply chains and enhance their logistics operations, we’ve been hearing a lot about the role that the Internet of Things (IoT) will play in this evolution. Defined by Gartner as “the network of physical objects that contain embedded technology to communicate and sense or interact with their internal states or the external environment,” IoT could revolutionize the supply chain environment by enabling better asset tracking, improving inventory management, and maximizing labor, among other things. These benefits aren’t lost on the companies that need them to survive and thrive in today’s competitive business environment. In 2015, there were about 15.4 billion connected devices. According to IHS, this number will grow to 30.7 billion in 2020, and 75.4 billion by 2025. In 2016, global spending on the IoT across markets was $737 billion, and IDC predicts that by 2020, this number will reach $1.29 trillion—a compound annual growth rate (CAGR) of 15.6 percent. 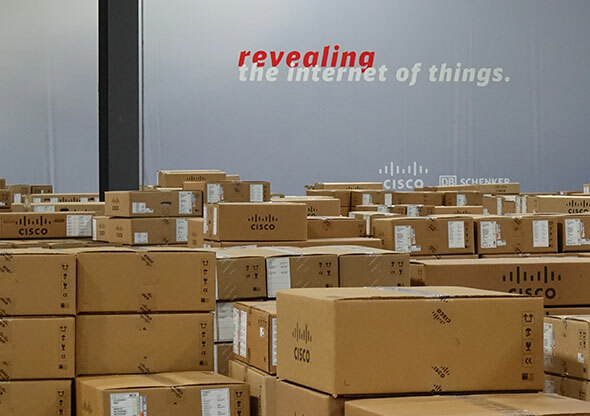 To explore how IoT applications and related technologies can be used in the warehouse—and across logistics networks—Cisco and DB Schenker are working together on a series of innovation lab tests. Their end goal is straightforward: Figure out how IoT and related digital technologies can help to improve everything from warehouse operations to logistics networks to the end-to-end supply chain, and everything in between. The two companies are collaborating to test, and implement various applications around the Internet of Things and other innovative technologies for logistics. DB Schenker, which is one of Cisco’s logistics providers, set up a 25,000-square-foot lab in one of its Texas warehouses. There, the two partners are experimenting with IoT sensors, real-time location tracking, and other innovations in a “real” distribution setting. Operational since early-2017, the lab has already served as the proving ground for four technologies (energy management, facial recognition, augmented reality, and pallet dimensioning), out of a total of fifteen. Other cutting-edge technologies being tested include sensor-based solutions; real-time locationing system; robotics and automation; smart devices; and video analytics. Developed by Cisco and DB Schenker, these applications and products are thoroughly tested by the latter’s employees in a warehouse environment. During the trial phase, the team assesses both technical feasibility and the value proposition within a warehousing and supply chain environment. Worldwide, we are witnessing an explosion of ‘smart, connected things’, exploiting technological advances and reducing costs in telematics devices, sensors, applications, software and communications networks – including cellular, satellite, and near-field, according to FreightWaves. 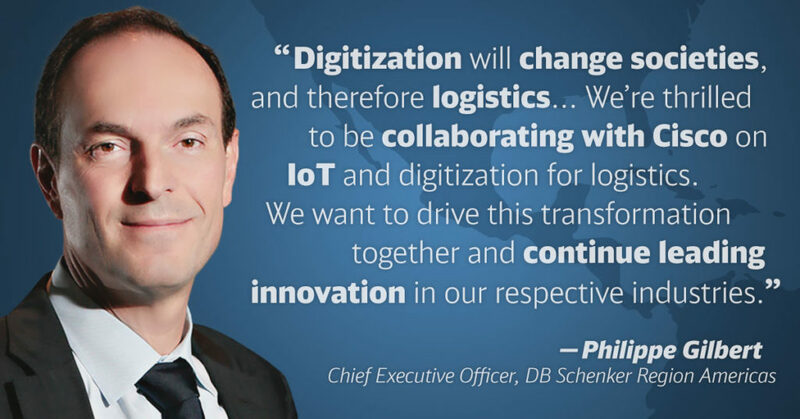 Stay tuned as DB Schenker and Cisco continue their collaboration and explore the role that IoT and advanced technologies can play in streamlining logistics, thus enabling a simplified end-to-end supply chain experience for shippers, customers, carriers, and logistics providers alike.